Georg Simmel said it best when he wrote, “There is no other structure like the human face which merges such a great variety of shapes, and surfaces into an absolute unity of meaning.” After all, the anatomy or our beauty is directly linked to science – because we are natural beings. Leonardo da Vinci proves this with his famous drawing Homo ad circulum and carries it forward by creating one of the world’s most famous smiles on the Mona Lisa. That said, aesthetic dentistry seems to be the dental way to enhance a typical face with cosmetic dental procedures. In Dr. Larry Rosenthal’s eyes, the smile is a stage. And thus, he looks at a patient’s smile in a bigger picture. It isn’t simply the teeth showing, but how the face contours that smile and how each facial feature combines to create a complete “masterpiece”. In this chapter, we learn how to create a larger canvas of a patient’s face in order to design a more aesthetically pleasing look. He breaks down the various areas, from the horizontal divisions of the face, inter-pupillary line and facial midline. Based on what these lines dictate will help your dental professional figure out the proper treatment program to give you, not only a fixed smile, but the best smile for your face. 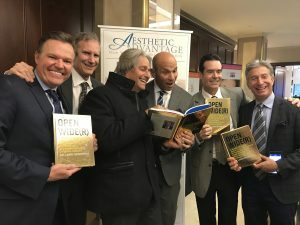 To learn more about a visual guide to the smile, get your copy of Open Wider from Amazon.com today! 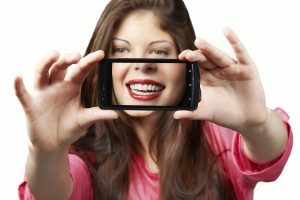 Because we cannot escape the constant presence of the “selfie”, having a great smile is key to looking your best. Unfortunately, most of us do not have the whitest teeth possible. This is likely due to some type of lifestyle choices we are making, both good or bad. Bad habits like smoking are obviously hurting the shade of your teeth but taking certain prescriptions can also cause some coloration damage. The good news is that we can do something about brightening our smile, from basic dietary changes to a professional treatment session. Simple changes to our lifestyle can not only improve our dental health, but our overall health as well. As a dental professional we walk a fine line with our patients that know exactly “what they need” and cannot be convinced otherwise, and patients that have no clue what they need because all they know if that it hurts or is ugly and would like it fixed. The former is a much tougher patient because they will insist upon treatment options that may not be the best for them because “someone told them about this particular option”, and their teeth look fantastic. It is our job to figure out a way to convince them that they can trust you enough to know what is best for their smile. And it all comes down to three levels of care – where health equals beauty. Level one: oral health care and maintenance. Our mouths are the first line of defense for many of the illnesses and infections we encounter in our lives. And in order to keep ourselves healthy, it is important to maintain a proper level of dental hygiene and maintenance in order to keep our bodies running. Proper daily dental hygiene routine and consistent checkups will ensure that this happens. Level two: restorative care. When it comes to restorations, it is important to discuss five key points: comfort (how the restoration feels), convenience (how long the procedure takes), durability (how long it will last with proper upkeep), affordability (and if it fits within budget) and appearance (how they feel mentally). Level three: aesthetic care. When discussing dental treatment options, it is also important to give aesthetic options as well. The color, size and shape of the teeth themselves, how much are visible when in use and their improved overall appearance. In the age of the selfie, it is important to many that their appearance is always on point. We get our nails done and our hair cut on a regular basis, we find the nicest clothes we can afford to always look our best. But more important is our smiles. For most of us, we have plenty of things we would like to change. Priorities. What would you like to accomplish? Give a basic but honest idea of what you your goals are at the end of this process. Health. How is your health? Do you have any toothaches or irritations developing inside your mouth? Your dental health will play a part in what dental procedures are available to you. Hygiene. How is your hygiene? As a reminder of the previous question, keeping your dental hygiene routines is very important. Appearance. How do you feel about your appearance? Really take a look at your features, both facial and your smile and express your concerns. Fear. How do you feel about visiting the dentist? While many have some type of fear of the dentist, today’s technology can relieve any concerns you may have. Cost and convenience. What are your views of the time and money involved? Dental work can become expensive and time-consuming, depending on your particular case. Take this into consideration as well when deciding on your next step. Everyone wants to have a smile that can light up a room. Y’know, one of those Hollywood smiles we see every day on our favorite tv shows and movies – a bright, gleaming white set of perfect pearly whites. The great thing is, with today’s dental technology, you can have that smile with the help of your dentist. Need it brighter? There are whitening treatments. Need some straightening? There are braces, or if necessary, dental implants that can help out. All you need is a visit to your favorite smile doctor. Missing teeth. A dental implant with veneers will likely be recommended. Worn teeth. This will either entail some bonding or veneers in affected areas. Gummy smile. 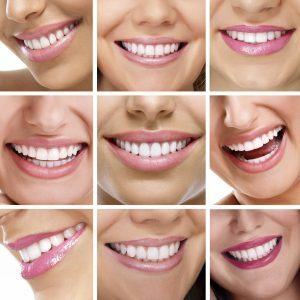 If you have excessive gums showing when you smile, you may need a smile lift. Discoloration. Whitening will be the first option but may need bonding or veneers. Tooth erosion. Grinding may cause your teeth to wear. Veneers and/or crowns will fix that. Old restorations. 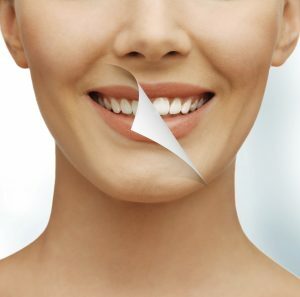 Old restorations may need to be re-sculpted to give your smile a renewed look. Old bonding and cavities. You would be surprised by how much your smile can change by changing the color and shape of your teeth. Crowding. Braces or a crown/bridge combination will make your smile more aesthetically pleasing. Missing teeth. Fill in any gaps with bridges and veneers. When you meet someone, what is the first thing you notice about them? Is it their eyes? Chances are, you are going to say their smile. Not only is it the most obvious feature of the face, but it is the most universally studied of all the facial expressions. Not only because they are beautiful, but because smile mean so much more than a happy thought. Smiles can tell someone about their health and can even lead to more success than you can imagine. It’s true – your smile is the window to your soul. Smiles are like snowflakes. You have a smile that is unmatched by any other. It is distinct and is likely the feature that is remembered by others in networking situations. A great smile can boost your confidence and make you seem more intelligent, successful – someone that you want to know. When you have flaws in your smile, it can affect your overall demeanor and health. As we age, our skin begins to sag and our bones begin to weaken. This will inevitably change the way our smile appears and can make us look sad when we don’t feel that way. This is where cosmetic dentistry comes into play. Cosmetic dentistry has grown leaps and bounds from your grandparents’ dentistry. Nowadays, your dental experience is less invasive, less time-consuming and even sometime pain-free. Through the use of state-of-the-art technology, Dr. Rosenthal has revolutionized the smile. 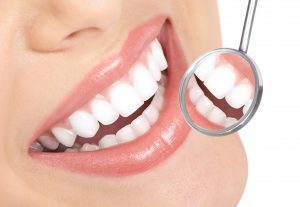 It is no longer an issue that concerns even the most timid dental patients; cosmetic dentistry can give someone their confidence and zest for life. 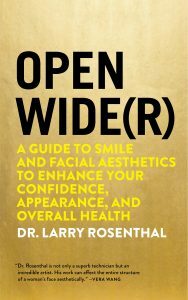 To learn more about the power of a smile, get your copy of Open Wider from Amazon.com today! Dental visits are unpleasant. Have you been to a dental office lately? Big-screen TVs and aromatherapy are just a couple of the amenities there for you to relax and enjoy your dental experience. Dental treatment is painful. Materials and bonding techniques are so advanced, patients are less aware that procedures are happening at all. Teeth aren’t important features. Your teeth are not only responsible for your bite, but support the lower third of your face, affecting your overall appearance. You need to take care of all of your teeth. Dental restorations last forever. Nothing lasts forever, and the better you care for them, the longer they’ll last. Dentists aren’t doctors. DDS stands for Doctor of Dental Surgery. They aren’t scary like the movies say – they’re just normal people like you and me. Dental procedures take a long time. With today’s dental advancements, basic dental procedures can be done as quickly as a pedicure or haircut. Bad breath is diet-based. There are a few reasons you may have bad breath. If it becomes a common occurrence, it could be a health issue, like acid reflux or medication you are taking. 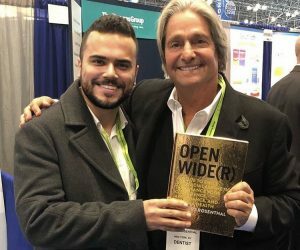 To learn more about dental myths, get your copy of Open Wider from Amazon.com today! TMZ recently caught up with actor Josh Duhamel at LAX and asked him if he had always wanted to be an actor. Surprisingly, the answer was no. In fact, he wanted to become a dentist. When asked why that was the goal, he said it was because he was very creatively-inclined, and his brother was a dentist. He thought he could use his artistic talents to create beautiful smiles, while keeping his mom proud her son was a doctor. He understood that dentistry isn’t solely based on medicine. Unfortunately, his grades weren’t all that great and eventually dropped out of Minot State University before entering dental school. The rest is history. Fast forward 13 years, and Dr. Rosenthal has revolutionized the way dentistry is taught and received. Think of it as a renaissance of sorts – a revival for dentistry and the beauty that can be created by these dental advancements. 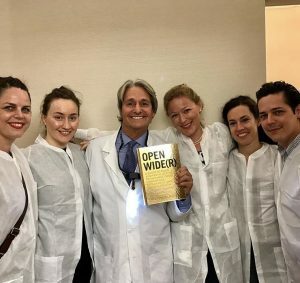 Open Wider is a book that celebrates the world of dentistry and the beauty that is created within a patient’s mouth. You’ll find yourself becoming optimistic for your next dental visit and overall health going forward. Give your lifestyle the boost it’s been looking for and get yourself a copy of Open Wider today!